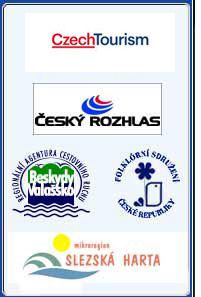 The tourism region of East Bohemia is ready to satisfy every visitor with a broad range of tourism products. It provides not only beautiful nature and a healthy environment of lowland, highland and even mountainous character, but also attractive tourist destinations, which arose from a hundred year old tradition of settlement in this region and from activities of a number of anonymous and well-known personalities. While on one hand the lowlands located in the area of the west Bohemian Polabi Region, which is characterized by a warm climate, are suitable for swimming, water sports, hiking or cycling, on the other hand the Adrspassko-Teplicke Rocks, which are a unique nature reserve, along with the Orlicke Mountains and the mountain range of Kralicky Sneznik attract mountain climbing and winter sports enthusiasts. Agro-tourism, focused mainly on traditional horse breeding, is developed in the whole region.Visitors to East Bohemia can enjoy the local folklore tradition and handicraft, visit a number of castles and chateaux, ancient military fortifications and fortresses, protected areas in towns and many other sights of Renaissance, baroque, secession and also of modern architecture from the period between the first and the second world wars. They can trace the personalities of Matyas B. Braun, J.W.Goethe, J.Gocar, B.Smetana, B.Martinu and many other world-known people. Visitors can also enjoy a large range of spa treatments, social, cultural and sporting events, all of which are attractive aspects of life of this region.